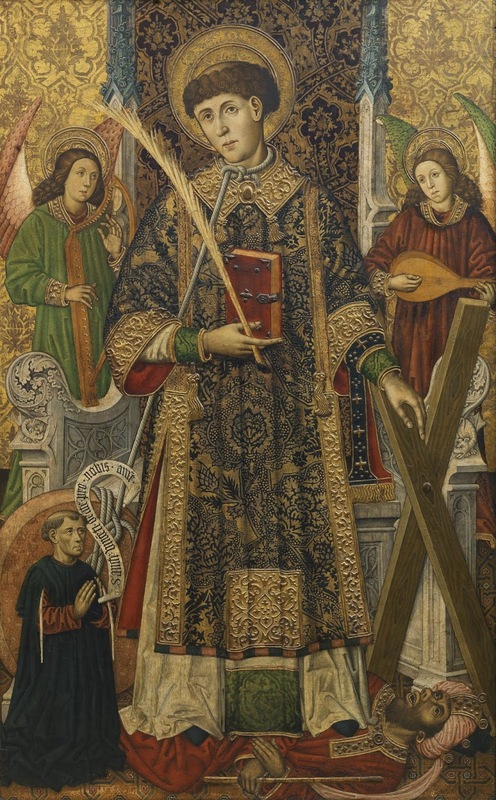 Today is the feast of one of the most venerated martyrs of the last and greatest of the ancient Roman persecutions, the deacon St Vincent of Saragossa. Towards the end of the 3rd century, he was ordained and appointed as a preacher and instructor of the faithful by the bishop of that city, St Valerius, and together they were arrested by the governor Dacian when the edict of persecution was issued by the Emperors Diocletian and Maximian in the year 303. The poet Prudentius, who was also from Spain, and is one of the principal sources for his life, tells us that the local governor Dacian killed a group of eighteen martyrs at Saragossa, then soon after arrested Valerius and Vincent, who were transferred to Valencia, and left for a long time in prison, starved and tortured. Vincent then said to Dacian that they were ready to suffer everything for the true God, and that his threats and promises meant nothing to them. In the days of St Augustine, the acts of the martyrs were often read in church as part of the liturgy, and he says in one of his sermons that Vincent suffered in ways that no man could bear in a merely natural way, while remaining perfectly calm and patient. Completely defeated by the martyr’s constancy, the governor relented, and allowed the faithful to visit him in prison; they dressed his many wounds, and laid him on a bed at which he died. He is sometimes depicted with a raven, in reference to the story that Dacian ordered his body to be left in a field, but a raven defended it from other animals until the Christians could collect it. More commonly, he is seen with a millstone tied to his neck, since Dacian then tried to get rid of his body by throwing it into the sea thus weighed down, but it miraculously returned to the shore anyway. 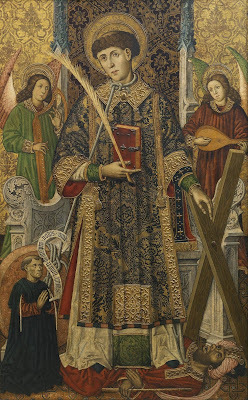 Many of the details of both St Vincent’s passion and various translations of his relics are regarded as unreliable by hagiographical scholars, but there can be no doubt that devotion to him spread through the Church very early on. St Augustine preached six sermons on his feast day, he appears in some of the earliest liturgical books of the Roman Rite, and is named in the canon of the Ambrosian Mass. In Rome, his feast day was long joined to that of another martyr, a Persian soldier who was converted to Christanity on seeing the relics of the True Cross when they were taken into his country by the Emperor Chosroes, after the sack of Jerusalem in 614 AD. 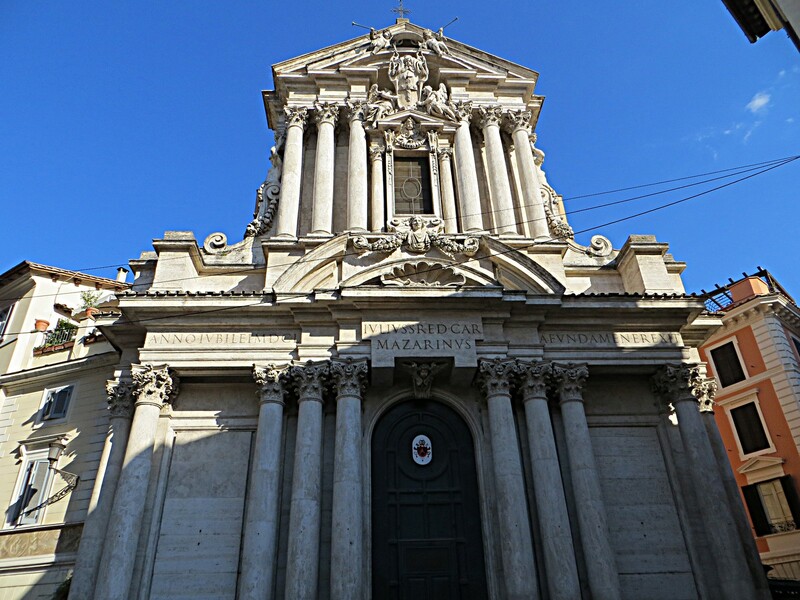 At his baptism he changed his name from Magundat to Anastasius, in honor of the the Resurrection. There were several ferocious persecutions against the Christians in Persia, and Anastasius died as a martyr in the midst of torments as horrible as those of St Vincent. His body was removed first to the Holy Land, then to Constantinople, and finally, in the iconoclast era, when many of the iconodules fled West, to Rome, and placed in a church dedicated to St Vincent. This is the reason for the joint feast of two otherwise unrelated martyrs, but St Anastasius is not found on non-Roman calendars in the Middle Ages. As noted in the Martyrology, one of the arguments adduced in favor of the veneration of sacred pictures at the Second Council of Nicea was that many miracles of healing and exorcism took place at this church in the presence of an image of him and the relic of his head.